The long winter nights are upon us in the northern hemisphere, so you won't find a better time than now to start a project with your favorite nanocomputer – and maybe even your favorite people. We've been privileged to print the father-daughter-daughter projects in the Kid Stop section by Pete, Brooke, and Leah Metcalfe (check out their missile launcher in this issue), and we'd like to see other parent – child/teen team projects. If you are a young person who's created a cool project with a small-board computer – either alone or teamed with an adult – let us know at the email address below. Meanwhile, in this issue you'll find projects to prime your creative juices. Two projects use the Raspberry Pi Camera. In the article on page 8, we show you how to use the RPi Cam Web Interface to control your Rasp Pi camera module from a browser. 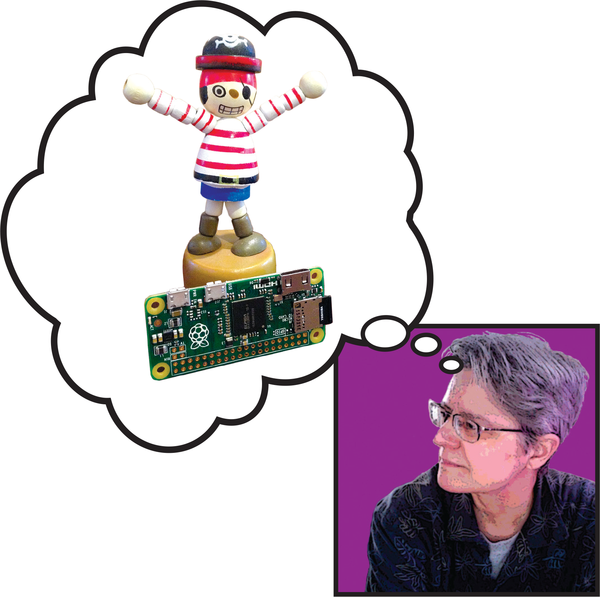 In the Scratch column on page 88, you'll find out how to use the Pi Camera with the Scratch programming language to make stop-motion animations. If streaming multimedia content is your interest, take a look at the RasPlex media center, which allows you to stream content to multiple TVs. If you happen to own a yacht (recreational vehicle, treehouse), we show you how to capture terrestrial television, stream movies, and provide WiFi for your home away from home, all with a Raspberry Pi. If all you need are tiny monitors, Dr. Torq shows you how to loop a movie to a tiny LCD color screen, and another author takes a look at Display T. Box, a Raspberry Pi 2 with a 2.8-inch color touch display mounted in the case. For the audiophiles out there, you can learn how to take a sound level meter and pair it with your Pi to monitor noise pollution – or keep tabs on how wild your party is getting. Also in this issue is a breakdown of the audio system in a science museum planetarium that uses one Raspberry Pi to replace four CD players for music and sound effects. Finally, be sure to check out our article on the Raspberry Pi Zero to find out whether it will fit into one of your future projects.